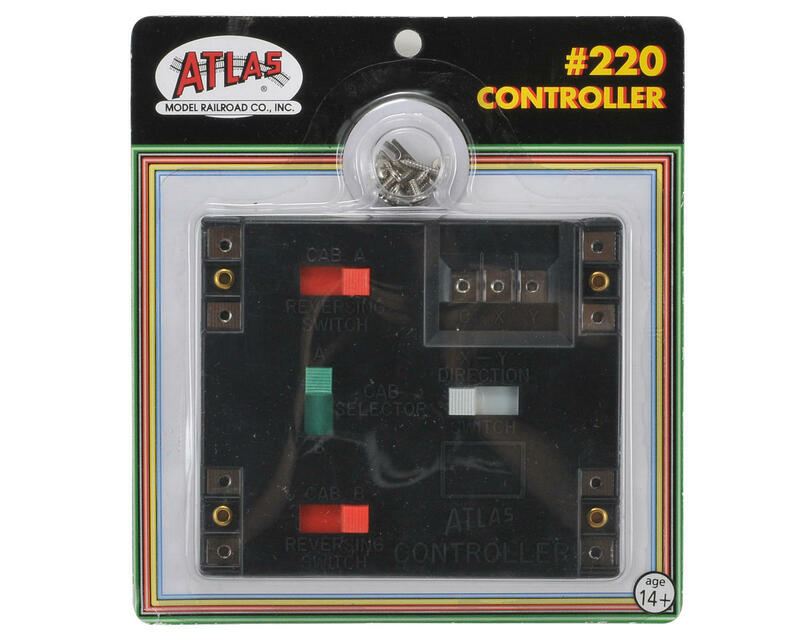 This is a Atlas Model Railroad Switch Controller. 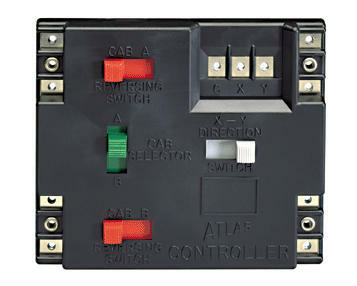 This controller is intended for use with HO and N scale trains. This control provides the simplest way to wire and control tricky reverse loops, wyes and turntables. Features reversing switches for two mainline cabs plus a switch, selectable by either cab, for directional control on reversing loops, etc. Couples with #215 Selectors.